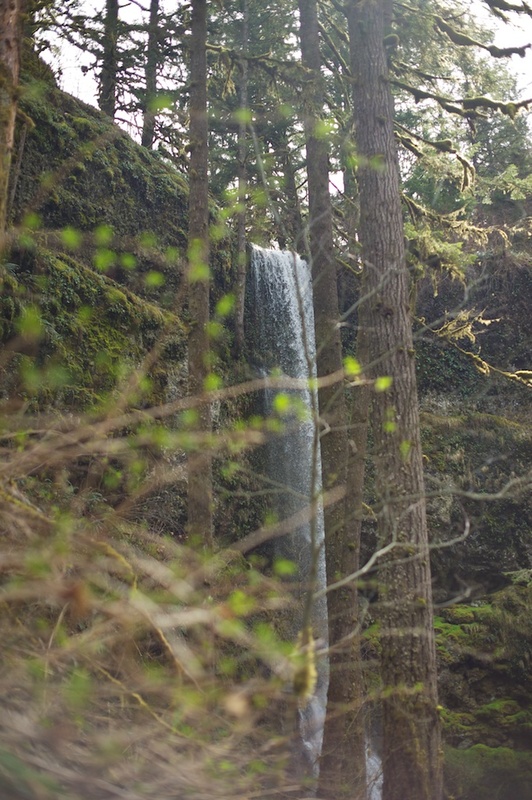 We celebrated Easter by driving an hour south of Portland for a ten mile hike among nine waterfalls in Silver Falls State Park. Our hike should have lasted a mere nine miles, making it a tidy average of a waterfall per mile, but part of the route we took was inexplicably closed, forcing us to backtrack by a mile and providing a second glance at Upper North Falls. 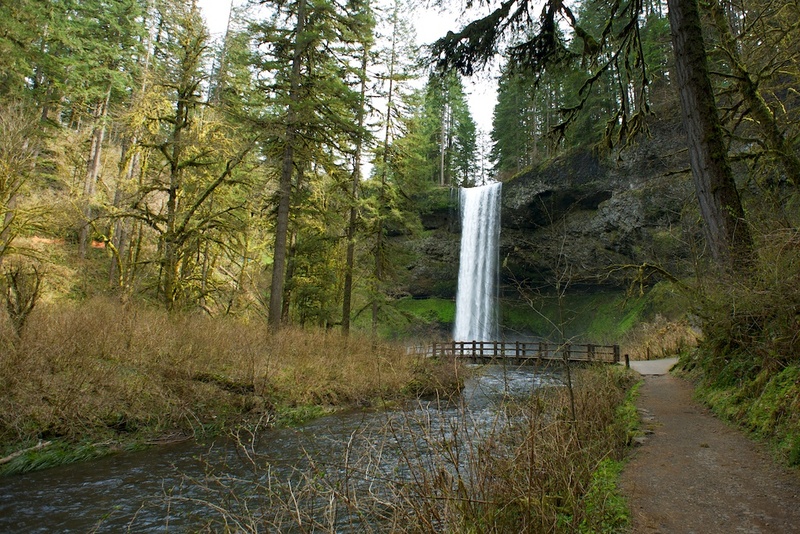 Silver Falls State Park is the largest park in Oregon, topping out at an impressive 9,000 acres. The trail was busy on Easter Sunday, but most of the park's other visitors navigated either the upper loop or lower loop, instead of joining the two routes together. 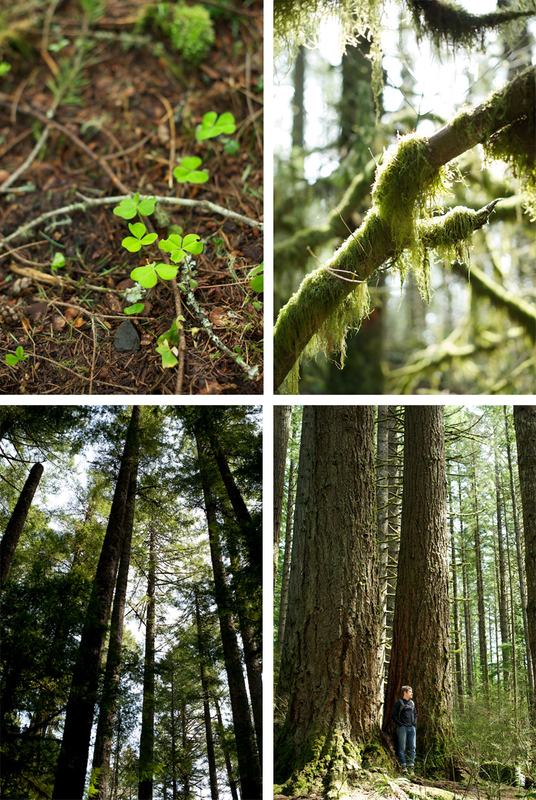 This meant that we experienced long stretches of time where it felt as if we were the only two people in the woods. We enjoyed weather in the high 60s, with patches of sun filtering between 200 foot tall pine trees and pockets of cool air close to the water's edge. 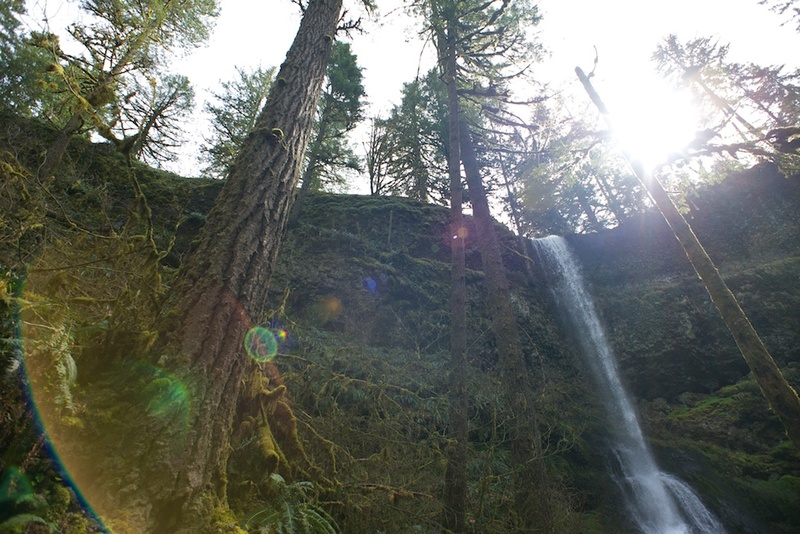 A week later I'm still remembering the spitting mist behind the two waterfalls we were able to walk behind, Lower South Falls and South Falls. This was as close to a Last of the Mohicans moment I could have in real life (luckily without the stress of the French-Indian War raging in the woods around me). 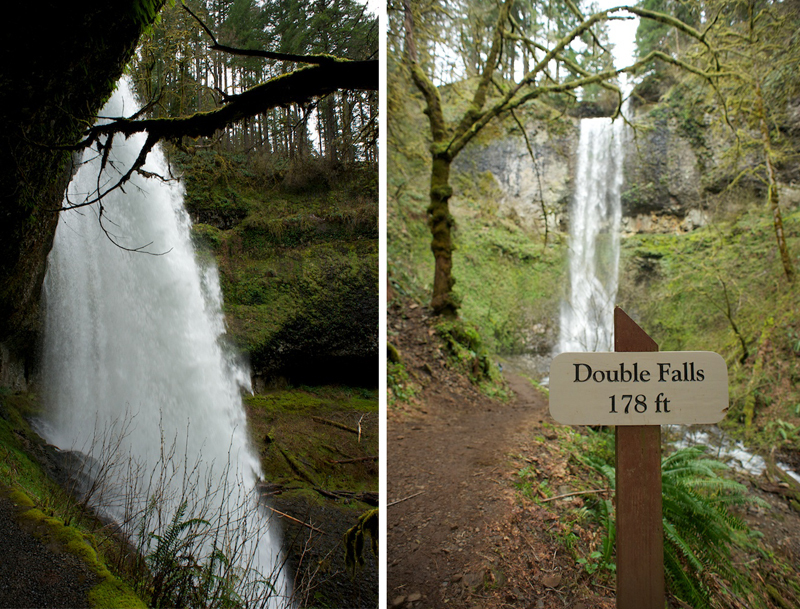 If you're ever in the Portland area, I highly recommend an excursion to Silver Falls. 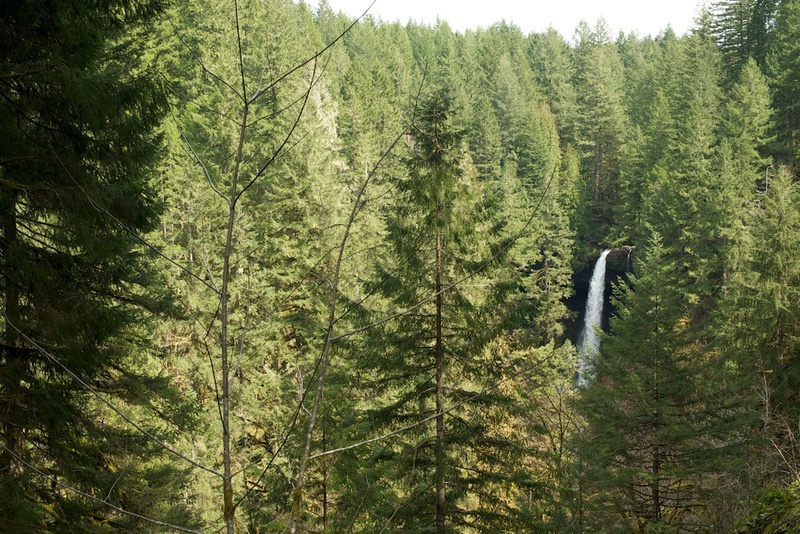 The waterfalls vary in intensity depending on precipitation level. 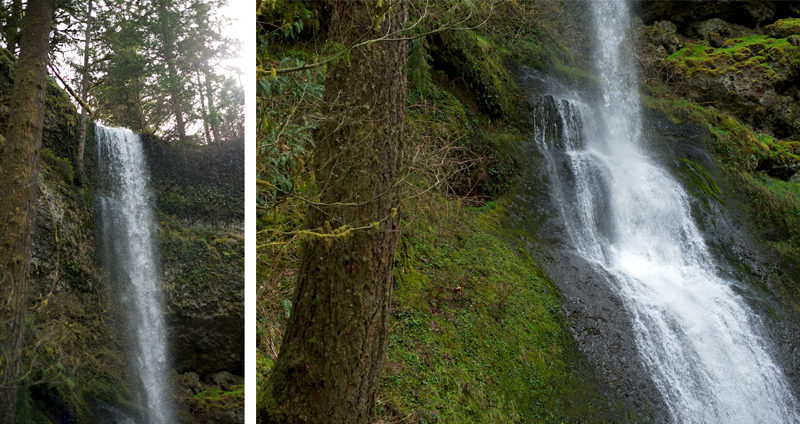 Last weekend, the mix of snow melt and spring rain led to the Falls rushing down as powerfully as they do all year.